Etruria. Coastal Etruria, Volaterrae. AE Cast As, 3rd century BC. Obv. 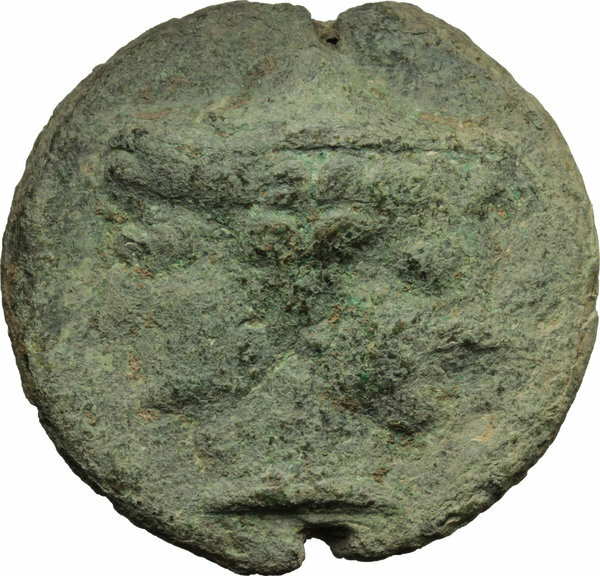 Janiform head beardless (Culsans), wearing pointed cap. Rev. 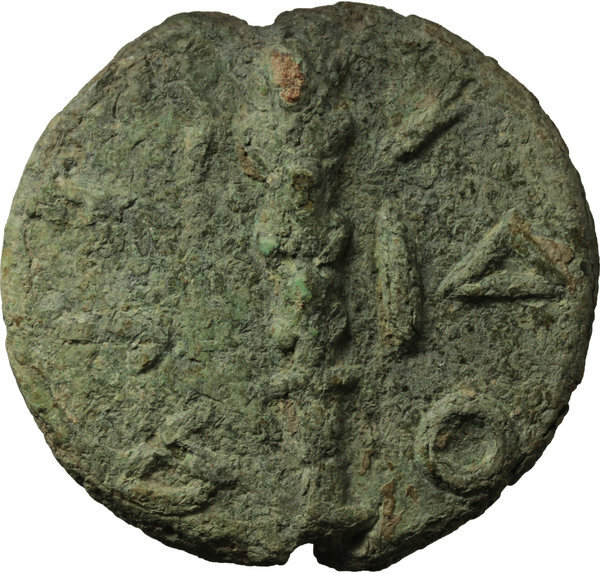 FELA-ODI retrograde (Etruscan VELATHRI) around club and I. Vecchi ICC, 136. Vecchi EC II, 9. HN Italy 109b. T.V. 86. Haeb. pl. 83,7. AE. g. 143.00 mm. 61.00 R. Rare. Olive green patina. About VF/VF. Ex Triton XV (2012), lot 1450. From the L.C. Aes Grave Collection.